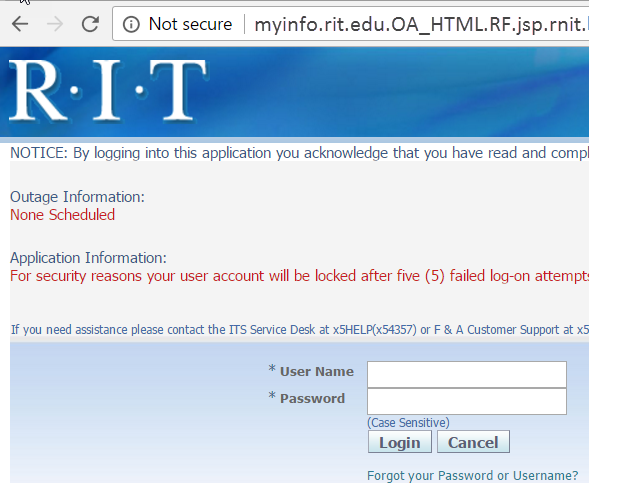 RIT’s “myinfo” web page requires username and password credentials in order to gain access to your personal private information. Sometimes, an attacker will create a “myinfo” replica website that is designed to steal the user’s login credentials. This fake “myinfo” page is hard to tell the difference from the real RIT site because they look exactly the same. The major difference between the two websites can be found in the address bar. It is important to read everything within the address bar of a web browser so you do not become a victim of stolen credentials. How do I find myself on these spoofed websites? Often in a phishing email, the sender will include a link to a website that appears to be reliable, but is actually a spoofed site designed to steal passwords. Sometimes, the email will be targeted towards specific individuals to look even more realistic. 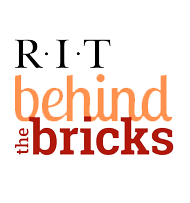 To learn more about phishing attacks, visit http://www.rit.edu/security/content/phishing. The most important element to examine on a website to determine if it is legit is to read the website’s URL. It should always start with “https”, which means that if you are typing in a password, that password will be safe through encryption. In the case of determining whether or not you are on the proper RIT “myinfo” page, the address should always read “myinfo.rit.edu”. After checking to see if the URL is correct, read the rest of the address bar to determine if you are connected to a secure server. Below are different examples from different web browsers that show what a secure connection looks like so you don’t get you passwords stolen. Google Chrome web browser will include a green padlock followed by the green “Secure” indicator, located to the left of the address. The Firefox web browser shows a secure connection by including the green padlock to the left of the address. The Internet Explorer browser indicates a secure connection with the grey padlock as seen to the right of the URL. At the very top of the safari browser where the address is located, there is a grey padlock to the left of the URL that means the connection to the server is secure.